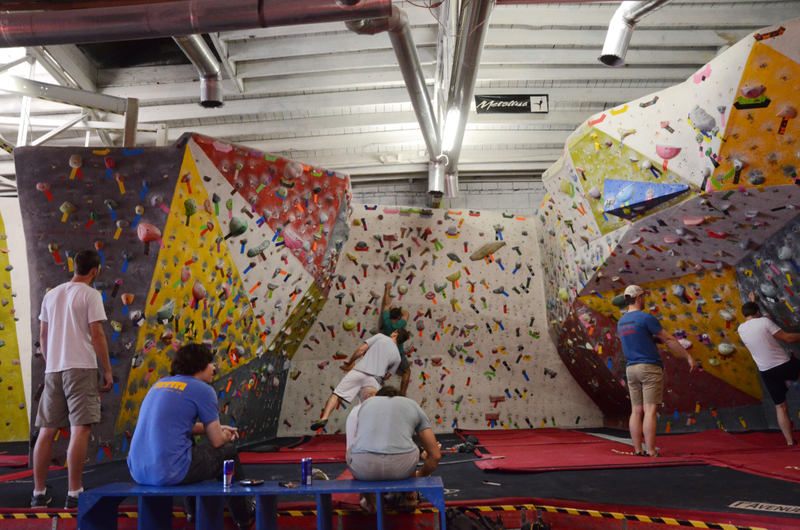 First Avenue Rocks is Birmingham’s premier climbing and bouldering facility. 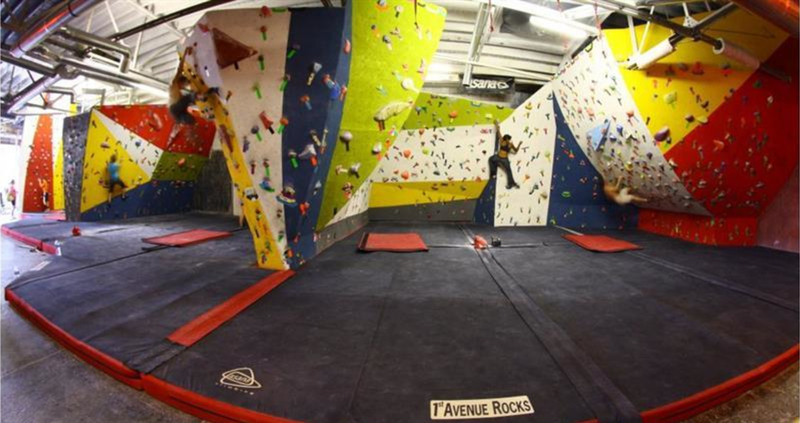 It was designed to accommodate a full range of climbing abilities but specializes in advanced bouldering and climbing training. 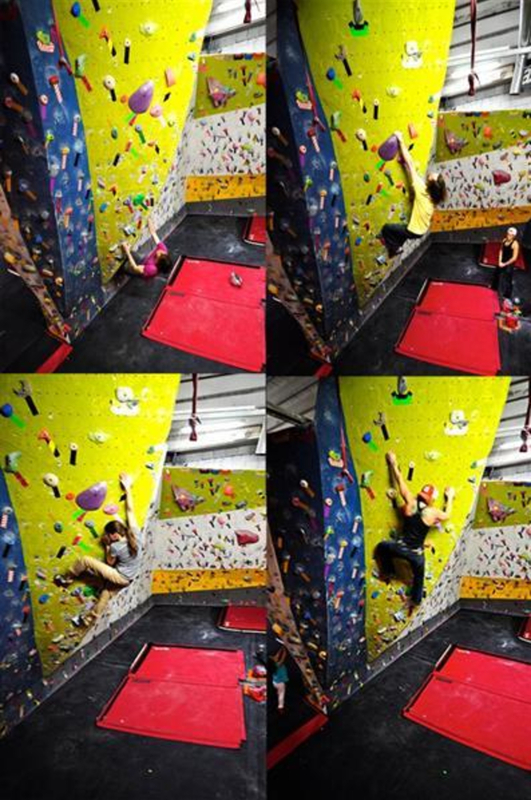 First Avenue Rocks is Birmingham’s premier climbing and bouldering facility. It was designed to accommodate a full range of climbing abilities but specializes in advanced bouldering and climbing training. The facility is intended to simulate the sandstone boulders that cover the southeastern United States and features a variety of complex shapes and angles. Though there is a short auto-belay top-roping wall that’s mostly intended for kids and beginners, the rest of the 4500 square foot complex is packed with boulder problems on walls of various inclines that reach no more than 15 feet high. 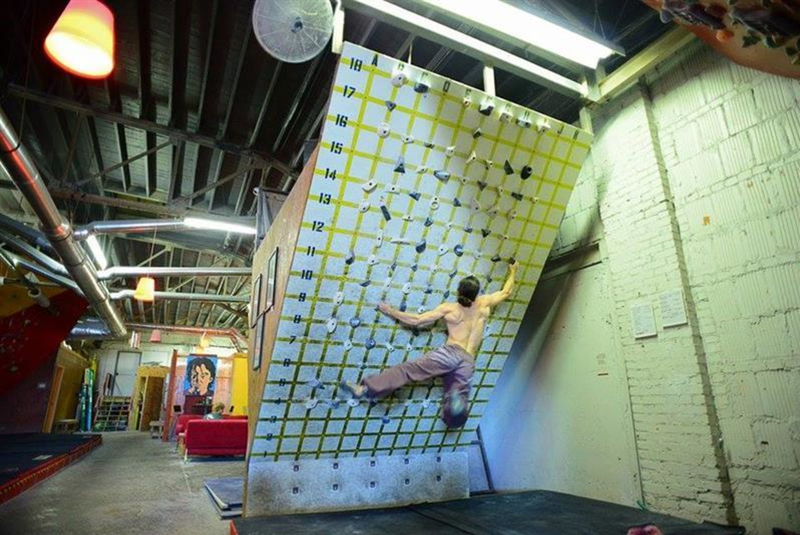 While the gym is suitable for all skill-levels, it is most accommodating to advanced climbers in that it offers a Moon board, campus ladders, a 45-degree wall, and an assortment of hangboards, all in addition to the boulder problems found on the walls. 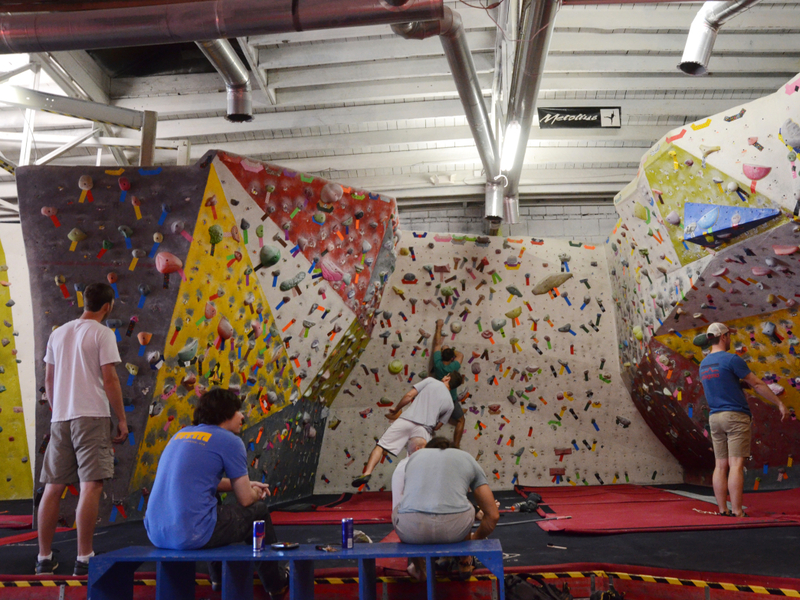 The gym is host to competitions, film screenings, and product demos throughout the year, and serves as the epicenter for growth of the climbing community in Birmingham. The staff and route-setters are some of the strongest and most knowledgeable climbers in the area, and regularly introduce new problems on different sections of the wall. The difficulty rating of every problem is labeled on the start holds, and there are enough problems of every rating for any level of climber to get a workout. In addition to the climbing specific amenities, a weight room with a few machines and assortment of free-weights is also available for members to use. Shoes and harnesses are available for rent, and the small pro-shop has a selection of basic needs such as shoes, ropes, chalk, and chalkbags for sale, as well as snacks and drinks. Kids love climbing around on the walls, and the gym offers some after-school programs and plays host to birthday parties regularly. First Avenue Rocks also offers tiered climbing instruction classes, ranging from absolute basics to advanced lead climbing. For climbers who own their gear, bring your own chalk, or buy some at the pro-shop, and all chalk must be kept in a chalk-sock within your chalkbag to prevent the inevitable mess a fine white powder will create. 4500 square feet of climbing space means there are a lot of options when it comes to variety and difficulty of problems. 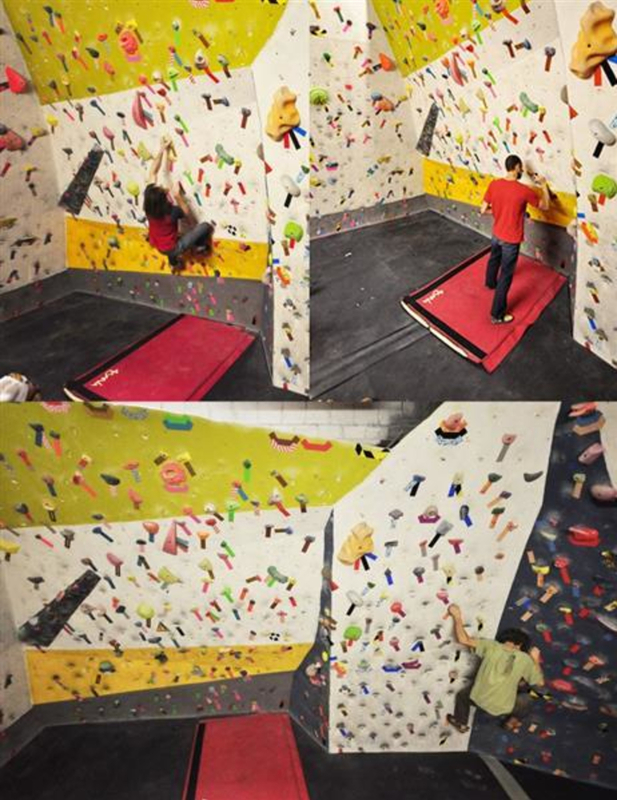 Each section of the wall has different inclines and features, making First Avenue Rocks a diverse training facility. Thick, soft padding protects climbers from potential falls, and the training-specific areas are a great resource for climbers seeking to become stronger for their outdoor projects. Strong boulderers will feel right at home at First Avenue Rocks. When weather conditions aren’t ideal for climbing at the plentiful, high-quality outdoor crags in the area, First Avenue Rocks is the next best thing. Equally, beginners can take advantage of a controlled environment to develop their skills before taking to the treasured sandstone of Moss Rock and Horse Pens 40. Membership is the most economical option, with packages that can be purchased monthly ($50) or every 6 months ($250). Special pricing is also available for couples, students, and children. A simple day pass, though, is $15 for adults, and a 10-visit pass is $130. It’s not cheap, but if climbing and training is something you’re serious about, it’s a worthwhile investment. Plus, local retailers offer discounts for being a member. The gym is open Monday – Friday, 10:00 – 10:00p.m., and Saturday – Sunday, 10:00 – 8:00p.m.